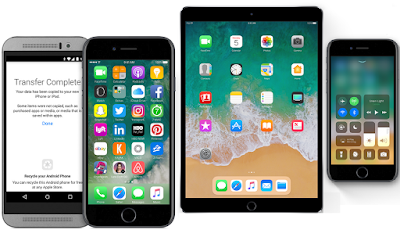 iOS 11 Automatic Setup iPhone 8 - In new iOS 11, Apple introduced a new Automatic Setup feature, which makes the process to set up iPhone 8. 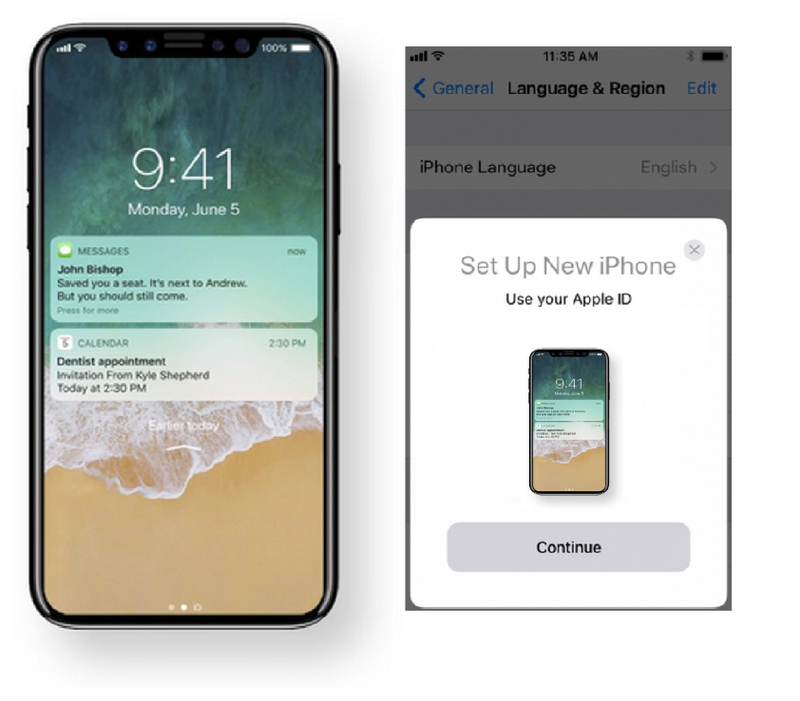 With the new Automatic Setup feature, you can automatically transfer your Apple ID and Wi-Fi settings from an existing device that is running iOS 11 to iPhone 8 within a simple taps. In iOS 11 new "Automatic Setup" feature, which is designed to make it much quicker to get a new device ready to go right out of the box.a bit different from how you set up a new iPhone in iOS 10 or earlier iOS version. The process sounds a bit complicated when explained, but it's straightforward with clear iOS 11 instructions that are simple to follow and it takes just a couple of minutes to complete. iOS 11 Automatic Setup transfers over your preferences, Apple ID and Wi-Fi info, preferred settings, and iCloud Keychain passwords, streamlining the setup process for new iPads and iPhones. 1. After choose your language and select your country or region, you’ll be prompt to “Set Up Your iPhone” Screen. Hold your iPhone 8 close to your old iPhone. 2. A request will pop up on the screen of you’re your old iPhone to ask you to use your Apple ID to set up your new iPhone, tap Continue. 3. Position the image displayed on your iPhone 8 to the camera of your old iPhone. 4. 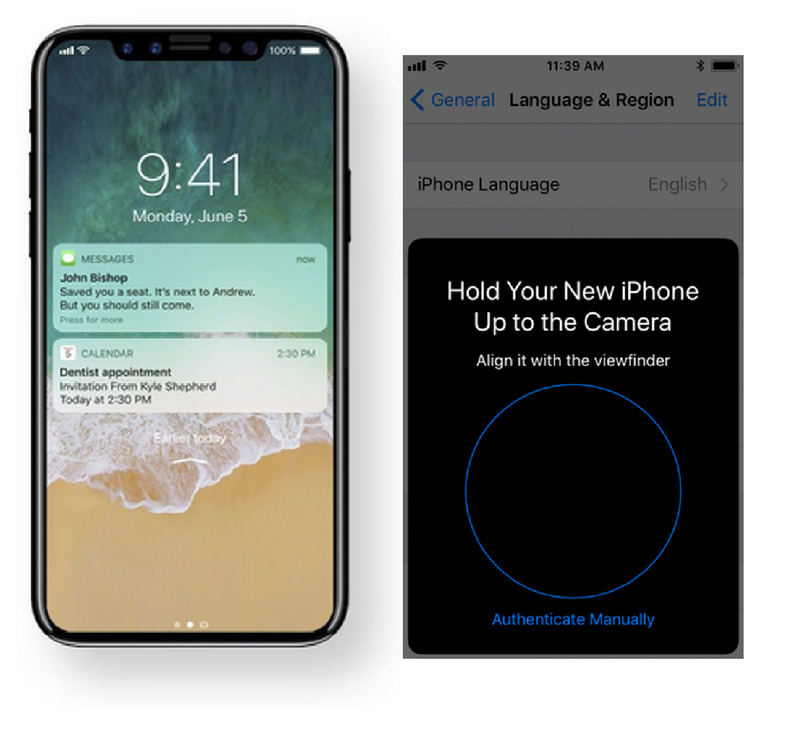 If you have set passcode for your old iPhone, you’ll be prompted to enter the passcode on your new iPhone 8, and this passcode will be also set as passcode on your new iPhone. If you don’t have passcode, your 2 devices will directly begin to transfer information and you can create passcode for your iPhone 8 later. Remember to keep the old iPhone close to your new iPhone 8 during the transfering. 5. Once the transferring process complete, you’ll be asked to activate Touch ID, set up Find My iPhone, location service, and so on. 6. On App & Data screen, you can choose to restore your iPhone from iCloud/iTunes backup, set up as New iPhone, or move data from Android. 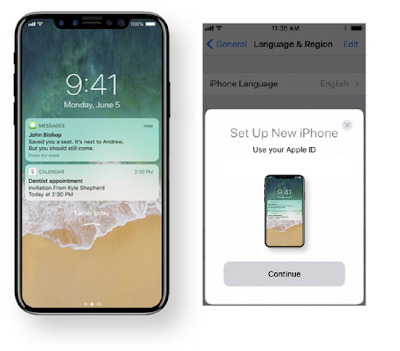 Follow the onscreen how to set up iPhone 8 in iOS 11 steps to complete the setup process. With iOS 11 installed, during the setup process, there's a new option to transfer settings from an existing device which also needs to be running iOS 11. The two devices need to be held close to one another, and when nearby, you'll get instructions to pair them. After the iPhone 8 and other device are paired and the settings are transferred, there's also a new simplified setup process for activating Touch ID and then enabling settings like Find My iPhone, location, and analytics all at once instead of individually. After that, you can set up Apple Pay and Siri, and then your device is ready to go. Whether setting up a device as new or importing an iCloud backup, Automatic Setup in iOS 11 is quicker than the traditional setup method, provided you have an existing device on hand. Enjoy a simple life with new iOS 12 and get the latest update iOS 13.